To start off with, you need to envision where these ‘décor circles’ are going to go…..will they go in your daughters room? In the kitchen? Above the toilet? In the Entrance hall? 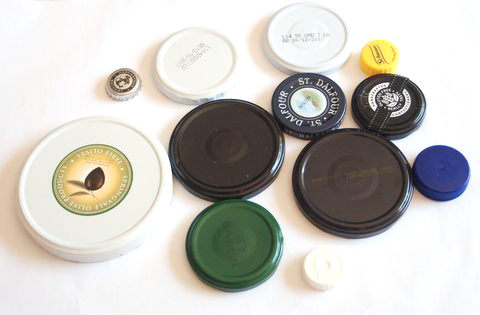 We all have little spots in our houses that could do with some temporary décor upliftment…..
Take your lids of all sizes (from coke bottle lids to gerkin jars to bigger lids) and make sure they are clean. They are now ready to be stuck to the wall! Here is how we decided to arrange our décor circles.The nice thing about it is you can change it whenever, wherever, however, have fun!